According to Church law, a shrine is “a church or other sacred place which, with the approval of the local Ordinary [bishop], is frequented by the faithful as pilgrims by reason of a special devotion”. That is why “certain privileges may be granted to shrines when the local circumstances, the number of pilgrims and especially the good of the faithful would seem to make this advisable”. A shrine therefore is a church entrusted by the local bishop with a special purpose, as opposed to a parish church, which exists to serve Catholics who live in a particular territory. Lets look of some of the most famous and most visited Catholic shrines in the world with special devotions or historic importance for catholic faith. OUR LADY OF GUADALUPE: Virgin of Guadalupe, Patroness of all America, in Mexico City. The Catholic Church has constantly tributed to the Virgin Mary a special piety and worship. The Guadalupe Marian devotion is the basis of Christian history in Mexico and it also supports the evangelization of the whole American continent. Also today there are innumerable devotees of Mother and Queen Guadalupana, of any age, profession, social class, who come every year, united by the same love for the Blessed Virgin and the sense of belonging to the Catholic Church. SAN GIOVANNI ROTONDO in the south of Italy, where Capuchin Padre Pio of Pietrelcina‘s body lies; it receives 6 or 7 million visitors a year. The virtue of fortitude shone in him. He understood very early in life that his would be the way of the Cross, and he accepted it at once with courage and out of love. For many years, he experienced spiritual sufferings. For years he endured the pains of his wounds with admirable serenity. OUR LADY OF APARECIDA in Brazil, where a black image of the Virgin, found on the shores of the Sao Paulo river in 1717, is venerated. Nossa Senhora Aparecida – Basilica of Our Lady of Aparecida – one of the largest churches in the world and receives about 12 million visitors per year. In order to welcome approximately 12 million of pilgrims per year, the National Sanctuary provides its devotees with an area of more than 1.3 million square meters, with about 143 thousand square meters of built-up area. BASILICA IN PARIS dedicated to the Sacred Heart of Jesus, built on a hill in Montmartre, Paris, between 1876 and 1919. Consecrated to the Heart of Christ, a revelation of the love of God for mankind the Basilica Sacre Coeur Paris – Montmartre a unique place in the world of perpetual Eucharistic adoration, night and day, for more than 125 years. Every evening, after the doors close at 10.30pm, the prayer relay continues, ensured by persons registered for the night of adoration, who stay at the Basilica Sacré-Coeur in Montmartre Guest House. CZESTOCHOWA in Poland. With the famous Image of Our Lady Black Madonna of Czestochowa, also known as the Icon of Our Lady of Czestochowa, having dimnsion of 121,8 x 81,3 cm,. depicts Blessed Virgin Mary holding the Child Jesus on Her left hand. It receives about 4-5 million pilgrims a year. The Image of Black Madonna of Czestochowa was creadted most likley in the second half of the XIII century as the Balkan Icon. LOURDES in France. Several churches and basilicas in Lourdes associated with Marian apparitions receive over 5 million pilgrims a year, making Lourdes the second most visited Christian pilgrimage site in Europe after Rome. We call «Message of Lourdes» the gestures and words that were exchanged between Virgin Mary and Bernadette Soubirous, at the Grotto of Massabielle, during the time of the eighteen apparitions. This message can be heard as: God is love and he loves us as we are. THE BASILICA OF SAINT ANTHONY OF PADUA, Italy. With the chapel of the tomb of Saint Anthony of Padua. The actual Basilica of St Anthony of Padua is largely the result of three different reconstructions, which took place over a period of about 70 years. FATIMA in Portugal. Sanctuary of Our Lady of Fatima Portugal – Santuario de Nossa Senhora de Fatima is one of the largest Marian shrines in the world. Our Lady of Fatima is the title given to the Blessed Virgin Mary according to her apparitions to three shepherd children at Fatima on the 13th day of six consecutive months in 1917. Fatima Portugal, receives about 4-5 million pilgrims a year. The very heart of the Sanctuary of Our Lady of Fatima. It was the first edifice constructed in the Cova da Iria, at the place of Our Lady´s Apparitions. The exact spot is marked by a marble pillar on which the Statue of Our Lady is placed. Here converge the four million pilgrims who visit the Sanctuary each year. 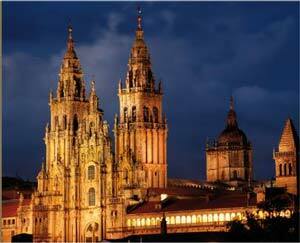 SANTIAGO DE COMPOSTELA in Spain. To qualify for El Camino of Santiago de Compostela (for those declaring a religious or spiritual motivation) or certificado (for those declaring a non-religious motivation) you must have walked at the very minimum the last 100km to Santiago (200km for cyclists). In Santiago itself the great Romanesque Santiago de Compostela Cathedral, goal of the pilgrimage, is now encased in 18th century splendour, but the elaborately carved Romanesque ‘Portico de la Gloria’ of 1188 remains to welcome the pilgrim or visitor now as in medieval times. BASILICA IN ASSISI. The home of St. Francis of Assisi. The history and the structure of the Sacred Convent, a place of life of the Franciscan friars and the residence of the popes. The church dedicated to Santa Maria degli Angeli, built probably in the fourth century and later passed into the ownership of the Benedictine monks, named after the area called ” Portiuncula “, which literally means the small portion of land on which it stood. HOLY HOUSE OF LORETO in Italy. The Basilica della Santa Casa (English: Basilica of the Holy House) is a Catholic place of pilgrimage in Loreto, Italy, containing the house in which the Virgin Mary lived. An ancient tradition tells that the walls of the Shrine existed in Nazareth, Galilea: the Holy House is the same House where Our Lady Mary was born, grew up and received the angelic announcement. About sixty graffiti have been found, and mostly are considered by experts to be similar to those of the Judeo-Christians in the Holy Land, including Nazareth, belonging to ancient times. MARIAZELL in Austria. 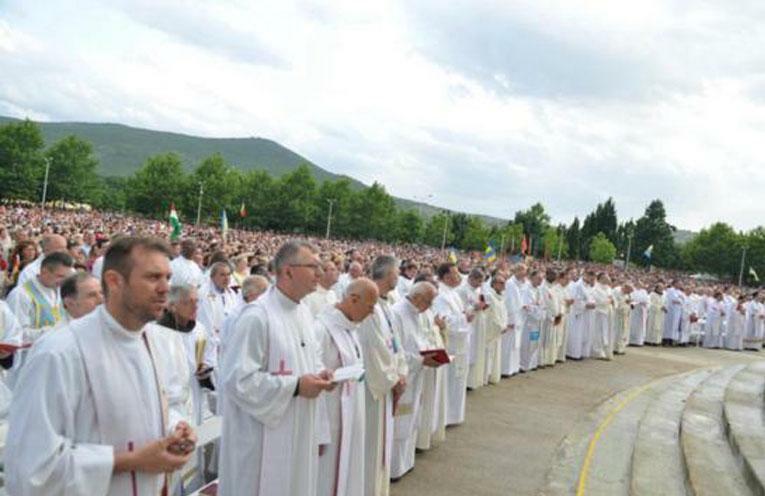 It is a site of pilgrimage for Catholics from Austria and neighboring countries to its east. The object of veneration is an image of the Virgin Mary reputed to work miracles, carved in lime-tree wood. With inhabitants numbering only 2000, one can nevertheless assume over one million pilgrims and visitors will come to Mariazell annually. Hardly any other pilgrimage site in the world can look back on such an impressive past. According to records, Mariazell was founded on December 21, 1157. An inscription above the main portal, giving the date 1200, means that we can assume that the building of the Romanesque chapel began at this time. The SHRINE OF THE IMMACULATE CONCEPTION in Washington. The Basilica of the National Shrine of the Immaculate Conception is the largest Roman Catholic church in the United States and North America, and is one of the ten largest churches in the world. Visited by Pope Francis, Pope Benedict XVI, Saint John Paul II, and Saint Mother Teresa of Calcutta. 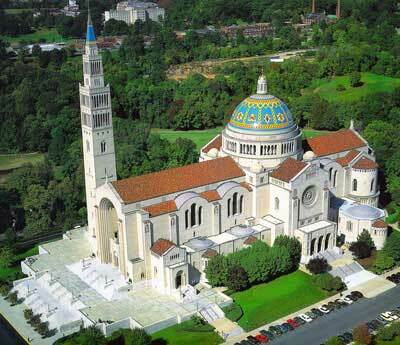 With over 70 chapels and oratories that relate to the Blessed Mother and peoples from countries around the world, one can virtually make a pilgrimage to many of the great Marian shrines of the world and receive their same graces and indulgences by visiting the Basilica of the National Shrine of the Immaculate Conception. Let us remain close in the same prayer!